This post is a response to Hrishi’s post. Of course, there is no comparison between these two legends. But still, I like Amir’s work more than Shah Rukh’s. There is no doubt that Shah Rukh ruled the heart of every Indian in the last decade, but this decade Amir was the Jack of all trades. What astonished me the most about Amir’s work is that he gave 2 movies of different genres back to back. One as an intrepid, young villager who picked up a cricket bat, instead of guns or swords, as a weapon against the enemy and peacefully won the battle against injustice and slavery. The other character was of a spoiled brat who understands the real meaning of love only after loosing one of his best friends. The time lapse between these 2 movies was just one month. Lagaan was released on 15th June, 2001 and DCH hit the screens on 10th Aug, the same year. (I’m glad I still remember the dates of release of most of the movies of my childhood days 😀 ) The first movie went on to become the most internationally acclaimed bollywood movie of all time, whereas the second one set a new trend of making movies exclusively for the metropolitan audience. Apart from that, the success rate of an Amir Khans movie is a little high than a Shah Rukh Khan movie, this decade. Shah Rukh also gave movies like Paheli, One two ka four, Asoka, Bhoothnath, Hum tumhare hain sanam, PBDHH, etc which failed to make a positive impact on the box office. Whereas, for Amir the count was only 2 (out of the 9 films that he has signed this decade) viz., Mangal Panday and Mela. I agree that to be a successful actor, striking the chord of the masses is as important as taking breath. But it also involves taking risks like getting into the shoes of a completely different character every time and mould it the way that makes the audience empathize with it. Of course, every protagonist has a different story to tell, but perfectionism is the quality possessed only by Amir and not by any other actor in bollywood. Also, this decade Amir has covered a wide spectrum of characters and not to mention, won the heart of the audiences in each of these roles. Whereas Shah Rukh failed to entertain the audience in different roles. His Character as Rahul in K3G was more or less similar to the character of Dev in KANK, leave apart the stories. Though he performed some tough roles such as Devdas and Kabeer Khan, I believe that his dedication never came any closer to Amir’s role of Sanjay Singhania in Ghajini. PS: As I mentioned earlier in my post, although both the actors are legends and have their unique ways of attracting audiences, I was more attracted towards Amir. 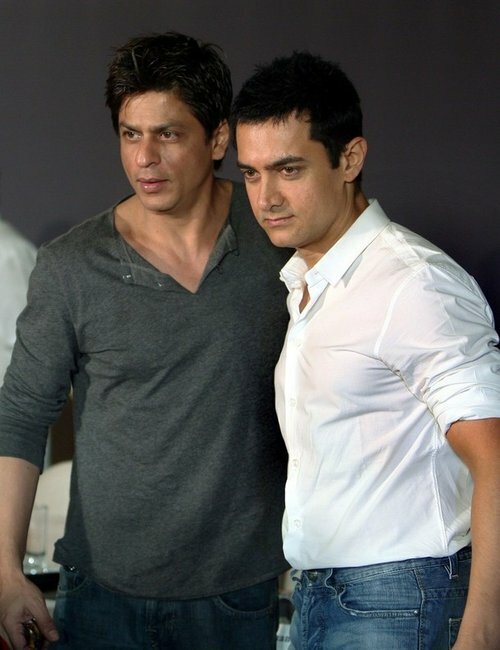 It might be because of his perfectionism, or because of his dedication towards making quality movies, but Amir has successfully made a bigger room for himself in my heart that Shah Rukh.